What’s not to love about timber homes? 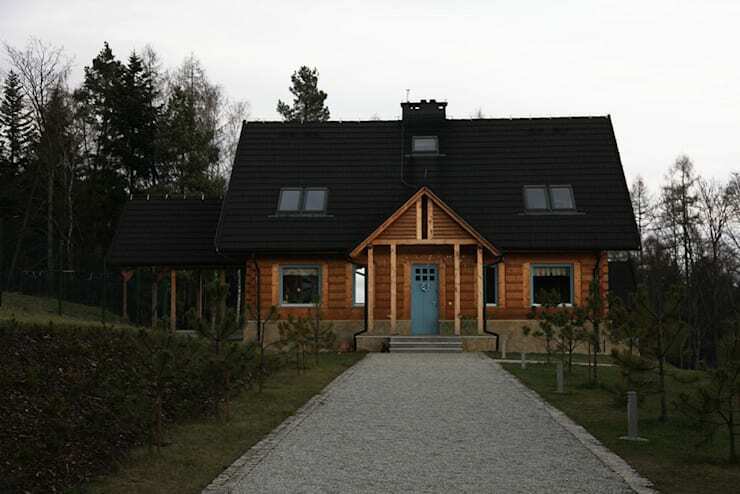 Wooden dwelling are a highly desirable option for many reasons, not least their ability to impart charm, character and quaint style upon those who enter their four walls. Available in a range of different styles from über-modern to classic traditional, timber homes are a wonderful choice for various domestic setups. Today’s dwelling is really going to impress you with its gorgeous symmetry, large open entertaining spaces and an astute attention to detail. The first image we get of this house is in its 3D rendered state. Here we're able to see how the architects have planned the dwelling, with their intended colour scheme, landscaping and other specifics. 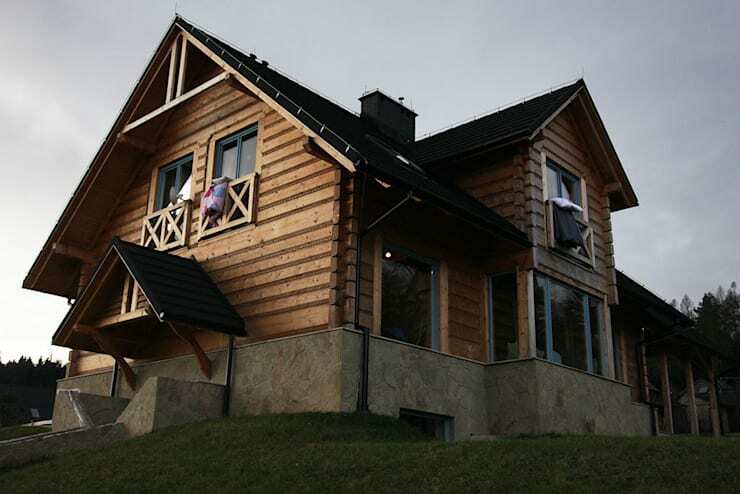 A perfect timber cabin home, the style is traditional, with more modern essentials included to ensure it is practical and efficient for 21st century living. Ideal as an escape from busy city life, this property ticks all the boxes and really embodies a feeling of tranquility and serenity. 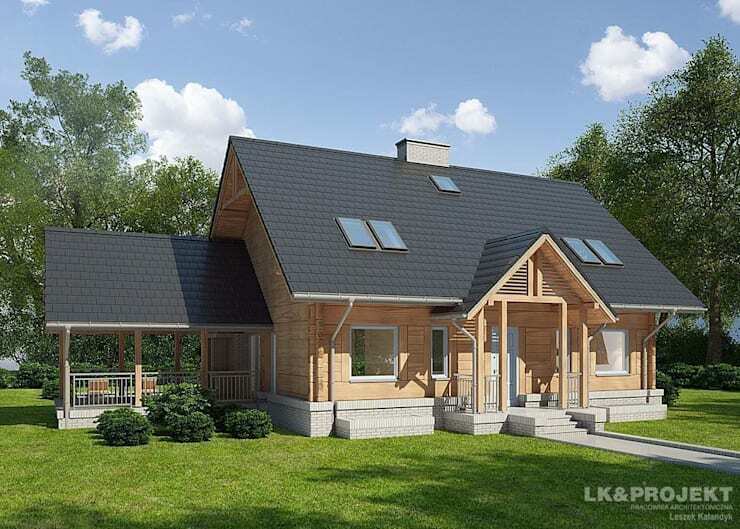 The shape of the home is fairly traditional, with a steep gable roof, which has been expanded with a loft to accommodate additional occupants. The new home is exactly as we would have pictured it, with the added bonus of an adorable blue front door that imparts character and charm. Subtle blue window frames have also been added, which we didn't notice in the original 3D design. Charming and appealing, the entrance to the structure is definitely impressive with a long and large gravel path that is flanked on either side by lush green grass. The side elevation of the home shows us the rear façade, which contains a dormer window and presents the house in a more impressive light. Rustic and characterful, the side of the home also includes an entrance to the basement, which is covered by a porch to ensure it's an all-weather entry and exit for the house. Heading inside the dining room we see that it is wonderfully replete with a warm sense of hospitality, with an inviting timber-clad aesthetic. This balances beautifully with the large windows that allow a huge volume of sunlight to stream inside, adding an open and spacious ambience. Suspended lamps are held above the table, evoking a warm glow for diners, in addition to the radiators that are affixed to the wall and tell us this home is centrally heated. The interior of the home has been designed with open plan living a necessity. Rustic yet replete with modern touches, the dwelling is fitted with lights that create a soft amber glow against the timber wall cladding. Perfect for cosying up with loved ones, cooking a nice meal and generally relaxing, this house certainly has it all! 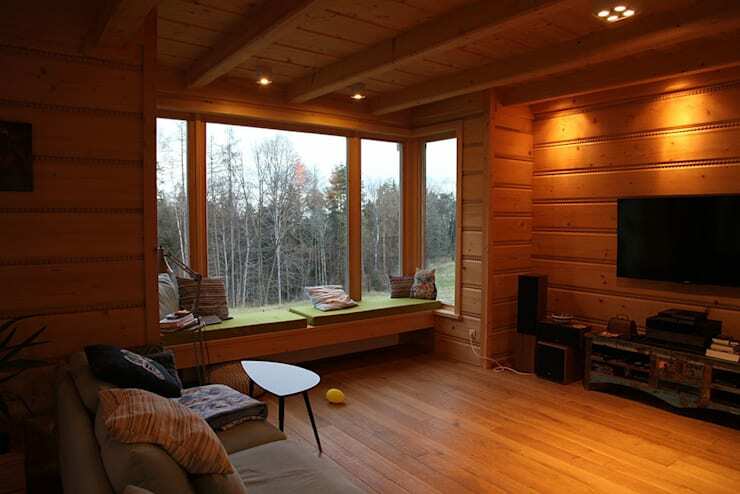 This is unquestionably the best seat in the house—no matter the season or time of day. 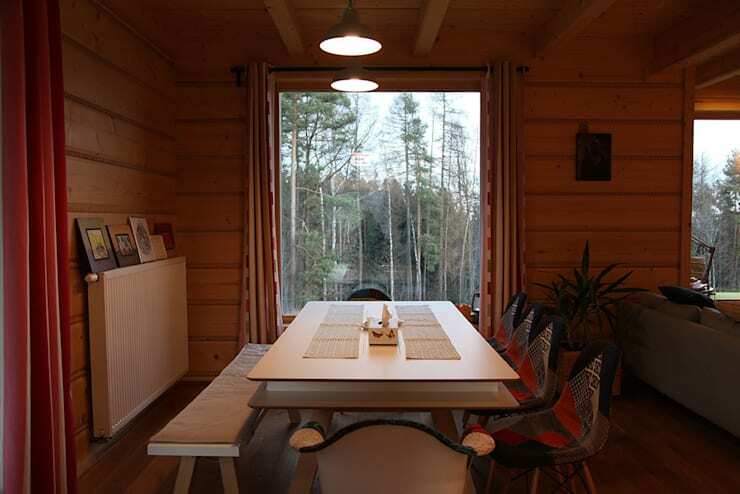 We love the built-in window seat, which looks out over the forest beyond and evokes a sense of warmth and welcoming vibes. Almost like a changing piece of artwork, we can imagine sitting here and watching the seasons change with each month. Perfect for children to rest, play and relax, along with adults, this is a family friendly space that certainly makes the home feel special and desirable. What did you think about this rustic yet modern abode?